Business operations impact your tax obligations, sometimes in unanticipated ways. Before making any decisions that may negatively affect your tax situation, consult with the experts at LMR & Associates to review alternative options that may reduce your tax burden and save you money. 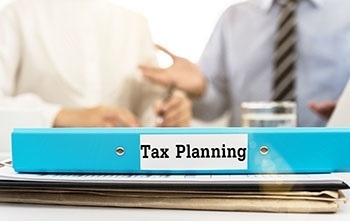 Our professionals leverage decades of tax planning experience to provide timely advice and recommendations that offer the most financial benefits for businesses and individuals. Our knowledge of the current tax regulations, combined with proven tax planning strategies will assist you in developing a plan that reduces your liabilities and meets your unique needs. As the tax laws change, our team integrates these changes into your plan and works proactively to take advantage of any possible financial savings to help your bottom line. For new business owners, we can suggest a business structure that offers the highest tax savings, both immediately and after future growth. Our team also provides income tax planning for business owners and individuals that will identify credits and deductions to ultimately reduce your tax liability and help you keep more of your hard-earned money. The experienced tax accountants at LMR & Associates can work through tax laws across multiple states. Our team will find unique ways to minimize taxes while ensuring compliance with all Federal and State tax regulations. Whether at the end of your career or just starting out, it’s never too early to begin preparing for financial security for you and your family. We help clients understand their retirement goals and the financial impacts their estate plan has on their future. Our team will work with you to consider and plan for the long-term future of your business. From retaining ownership within the family to transitioning to a key employee to a third-party sale, our experienced team of professionals will take the time to understand your individual priorities and develop a plan that meets your immediate and extended goals. When the IRS has you in their crosshairs, they will not simply forget about you and go away. Whether you are facing a substantial tax debt, lien, levy, or wage garnishment, it is in your financial interest to have professional help to advise you. Our tax experts will work directly with the IRS to represent your interests and save you the most money possible. From filing unpaid back taxes to representing you throughout an audit process, our team will assist you in understanding the situation and process for resolution, answer any questions, and follow up post-negotiations to guarantee all terms are being satisfied. LMR & Associates provides the most credible and knowledgeable forensic accounting services for the benefit of our clients. From investigation of suspicious financial activities to presenting sworn testimony before a judge and jury, we offer in-depth examination of the facts and the ability to clearly explain any evidence to relevant parties. For additional information on our comprehensive tax planning services or to set up an appointment with one of our tax experts, please call (734) 266-8120 today.